Electric motor design is a complicated task that requires the designer to consider many tradeoffs — this process can be successfully enhanced with the help of advanced optimization algorithms and detailed 3D thermal analysis. 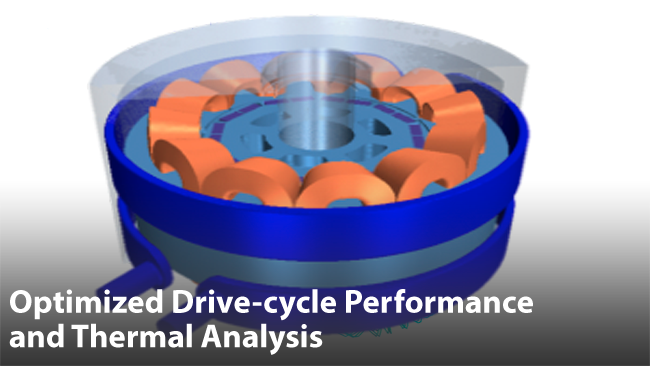 This webcast explores the design of a traction motor application for a mid-sized electric vehicle and maximize the machine efficiency averaged over the US06 drive cycle (considered an aggressive acceleration drive-cycle). A 3D transient thermal simulation over the drive cycle is then performed to determine under what condition the motor reaches worst-case temperatures. Attendees learn how to optimize electromagnetic motor performance over a drive-cycle by connecting the optimization engine to the electric motor design tool, SPEED™. Presenters demonstrate advanced simulation technology to show that coupling SPEED and STAR-CCM+® can be easily set up to run a transient drive-cycle thermal analysis on the optimized design.